When Hollywood mixes cataclysm with big budget special effects in a film, it is already anticipated to be an example of the event movie. With well-known movie stars like John Cusack and Danny Glover as well as a disaster film director like Roland Emmerich thrown into the picture, Columbia pictures expected and certainly accomplished making big money off of the film 2012. 2012 is a disaster film following the adventures and struggles of a middle-class family as they rush to survive while the Earth is enduring a phenomenon called “Earth-Crust displacement.” The family witnessed monstrous earthquakes in Los Angeles, the eruption of the super volcano in Yellowstone, and rode on expensive ships while surviving continent-destroying tsunamis. The film industry is essentially communicating with the audience by encoding their messages in the film and giving it to the audience for them to decode and interpret. Roland Emmerich and Columbia Pictures used the big budget disaster concept to shape 2012 not only for fulfilling profitable goals but also environmental goals, therefore causing specific choices to be made in the production and marketing of the film. 2012 is a product of the film industry that is also a meaningful, mediated text invoking responses and emotions from the audience. 2012 follows the event movie strategy, which is a “central risk-reducing strategy for films” (Jockel 84), in order to reach the goals of profitability. The event movie such as 2012 depends on high-concept marketing, presold property, and certain production elements. The popular hype that the end of the world will occur on December 21st, 2012 is considered as a presold property itself. Columbia Pictures used high concept marketing tactics, toying around with the 2012 idea by creating false websites and a fake lottery system (Farewell Atlantis, The IHC). The false websites tricks the audience, mediating reality to a level where the audience feels involved because it is something that could happen in the future. The audience becomes involved and loses touch of reality for a short amount of time and the film seizes their attention. Marketing tactics is ultimately “fundamental to the very construction of the high concept film” (Wyatt 23) which is why the choices of making fake websites and exploiting a controversial conspiracy theory are crucial to the mediated development of 2012. The choice of cast and inventive production techniques are also results of the film industry’s desire to make money. Jockel and Dobler wrote that the event movie “place a huge emphasis on certain production values such as technological innovations (special effects), elaborate sets, and stars” (Jockel 85). This is the same behavior stressed by Columbia Pictures. Mind-blowing CGI effects were emphasized to display the disaster of the apocalypse. John Cusack, Amanda Peet, Oliver Platt, Danny Glover, Chiwetel Ejiofor, and Woody Harrelson were the stars in the film; even if the audiences do not recognize their names, they would certainly recognize their faces from other films. The use of star power and CGI effects impacts the audience by luring them to watch the film. The signature authorship of Roland Emmerich plays a huge part in the condition of 2012. When Emmerich said in an interview that he cares for the planet and wish to show it “by destroying how beautiful it is” (Access Hollywood), he is hoping to accomplish the goal of getting the audience to value the environment. This can explain why he chose to make destructive films in the past. Any big budget epic film with Roland Emmerich’s name attached to it is almost expected to be a profitable blockbuster. There are some elements from Emmerich’s previous films he directed such as Independence Day, Godzilla, and The Day After Tomorrow that is familiar in 2012. Emmerich’s individual style may include the use of “multiple stories” being accounted during a disaster; the audience follows the struggle of different characters that might be completely unrelated in the beginning but unite towards the end. Emmerich had said in his interview with Access Hollywood that he was always interested in writing multiple characters in his movies. The audience becomes emotionally involved with the different characters, therefore losing touch of reality mediated by the film. Once the characters (or humanity in general) are finally united in the end of the film, they all have the hope to survive. This pattern of human division, then unity, while at the mercy of the destructive environment puts a unique “Emmerich stamp” on the film and helps explain why 2012 is very similar to Emmerich’s previous disaster films. Hidden messages can also be decoded by the audience and may be the reason why Roland Emmerich made certain decisions as he wrote and directed the film. Emmerich expressed in his interview that compared to his other disaster movies, 2012 presents an apocalyptic scenario where “there is nothing (man) can do about it” (Access Hollywood). Therefore Emmerich’s message in the film can be interpreted that humans are really at the mercy of the planet and when the “end” approaches, there is really no choice in the matter. 2012 also contemplates with the idea of “survival of the richest.” Even if the human beings possess a trait necessary for survival, he or she still dies while the richest human survives by paying his or her for safety. An example in the film is when the Indian physicist that discovered the changes in the Earth’s crust didn’t survive despite the fact that he is probably smarter than most of the rich people that survived. Emmerich had said in his interview with Access Hollywood of how there could be people, such as the Government, that may know for sure that the world is coming to an end and he presents with the question of whether or not it is moral to tell people the truth. The concept of survival of the richest and the morality of keeping 2012 a secret can explain why the people in 2012 that do survive the apocalypse are mostly super rich and high class. 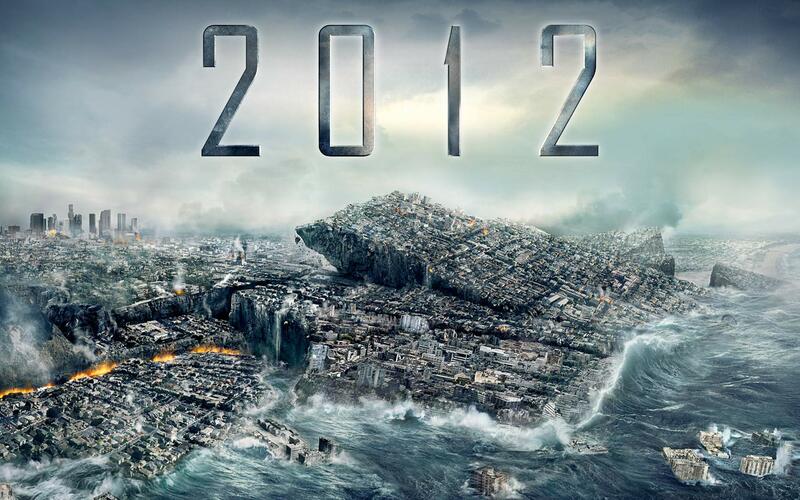 Back in 2009 when 2012 was debuted, the world was in the height of the recession. The gap between the rich and the poor widens and while the “boat is sinking,” the poor is sacrificed for the survival of the rich. Emmerich may have also intentionally put that concept in the film as a social commentary in order for the audience to think and dwell on the issue that they were experiencing at the time. The similarity between the “world” of 2012 and the Real helps generate a thin mediation between the two realities especially when the movie occurs at a date in the near upcoming future in the Real. His concealed messages serve to assist in him accomplishing his goals of convincing the audience to appreciate their humanity and environment. The hidden social and environmental goals that belong to the authorship of Roland Emmerich and the obvious marketing goals that belong to Columbia Pictures help explain why 2012 was constructed with specific elements. Marketing is important to the development of the film as an event movie and so the industry used fake websites and lottery systems, as well as star power and innovative CGI effects to lure audiences to watch the film. But there is meaning in the film that is generated by the authorship of Emmerich; he hopes to get the audience to think about the environment and social issues that were impacting the audience at the time the movie came out. Understanding the goals of both the author and the industry and why they chose to make their decisions will help the audience decode messages and differentiate the thin difference between the mediated apocalyptic reality of the film and the real world. Jockel, Sven, Dobler, Thomas. “The Event Movie: Marketing Filmed Entertainment for Transnational Media Corporations.” The International Journal on Media Management. 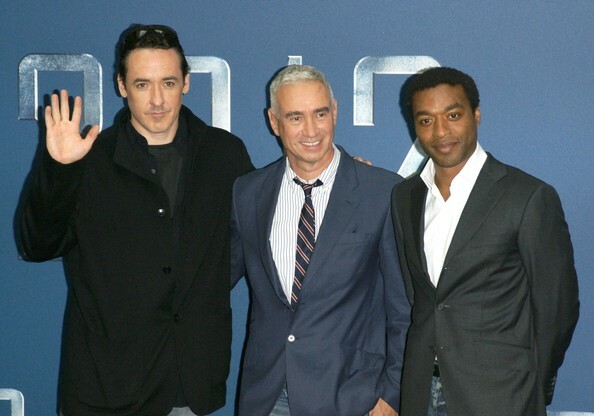 “Roland Emmerich: Will ‘2012’ Be His Final Disaster Movie?” n.d. Online Video Clip. Wyatt, Justin. “Construction of the Image and the High Concept Style.” High Concept. Austin: University of Texas Press, 1994.